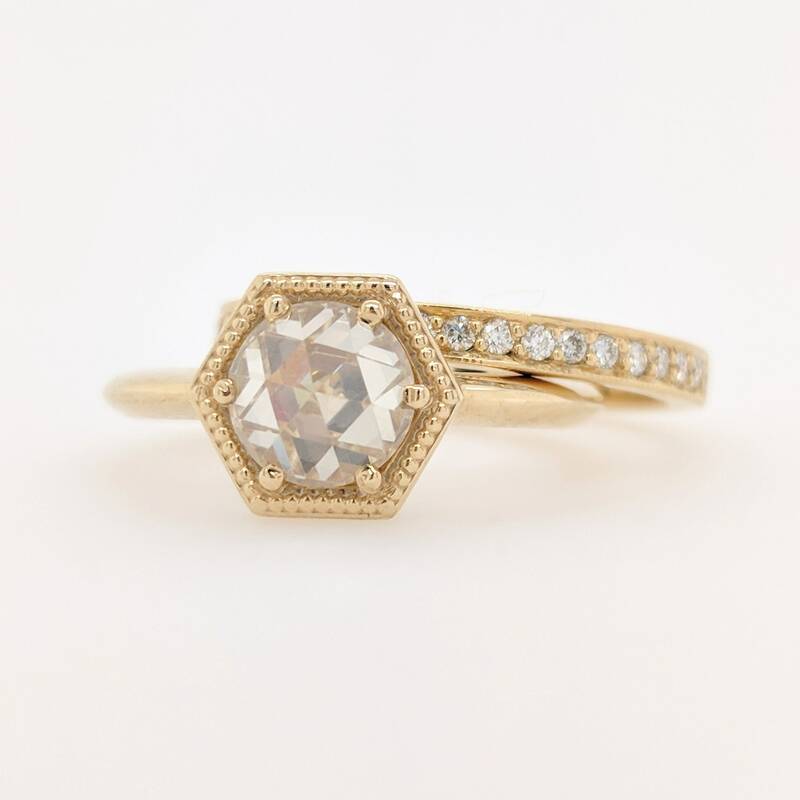 Adeline, an Art Deco inspired Hexagonal ring, Set with a stunning Rose Cut Moissanite. 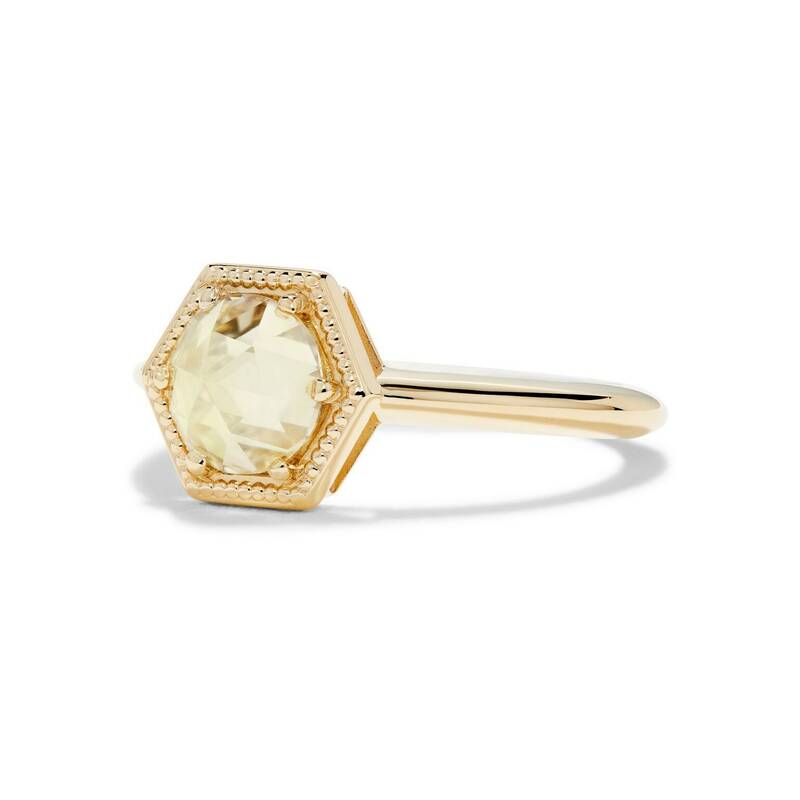 Wear it as a dress ring or engagement ring. 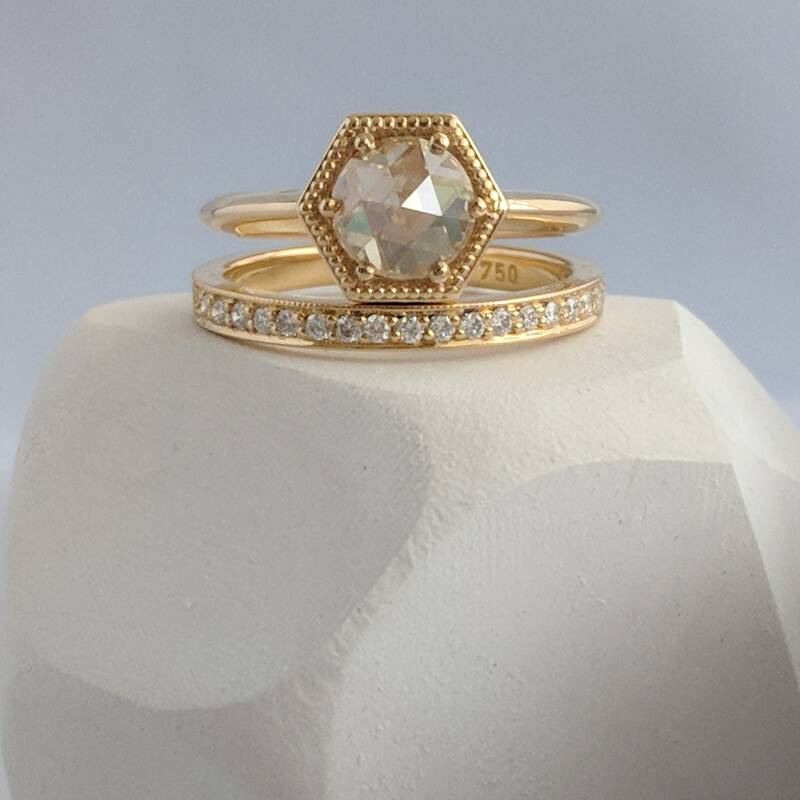 Pictured here with our Alice wedding band. 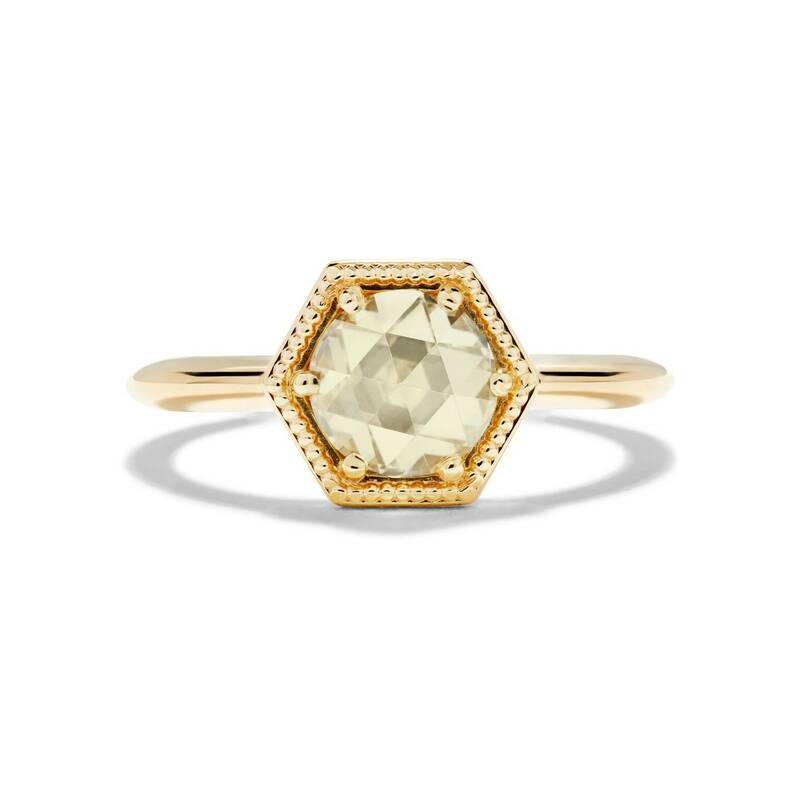 SPECIFICATIONS:Adeline has a fine dainty band measuring 2mm wide, the top hexagonal part measures 8.7mm across and the point of the stone sits up at a height of 6mm. 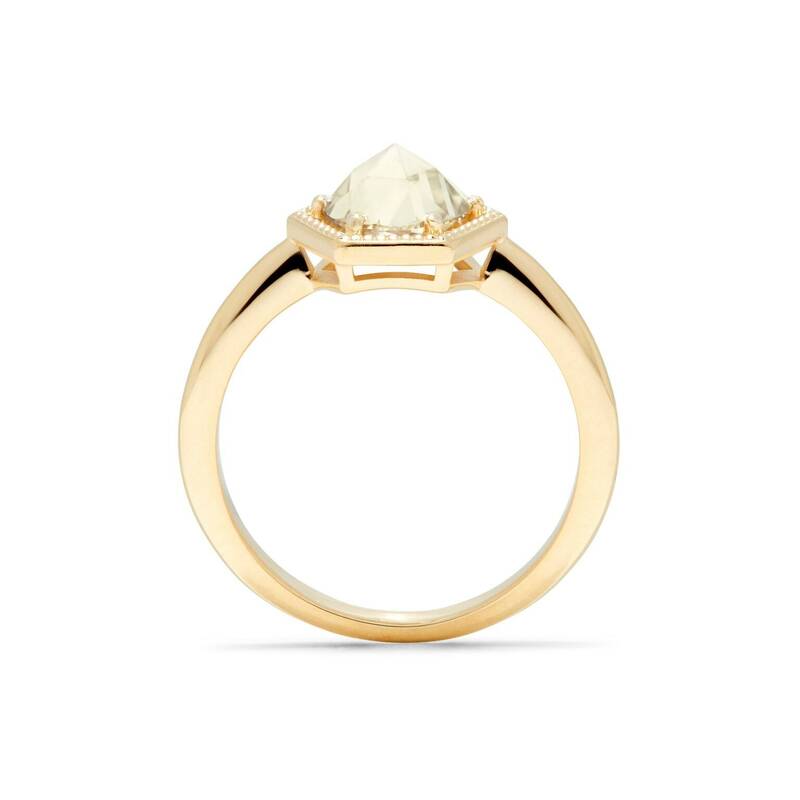 Pictured here in a finger size K.
Set With a round Rose Cut Moissanite in a stunning Pale Yellow colour which measures 6.5 mm in diameter. 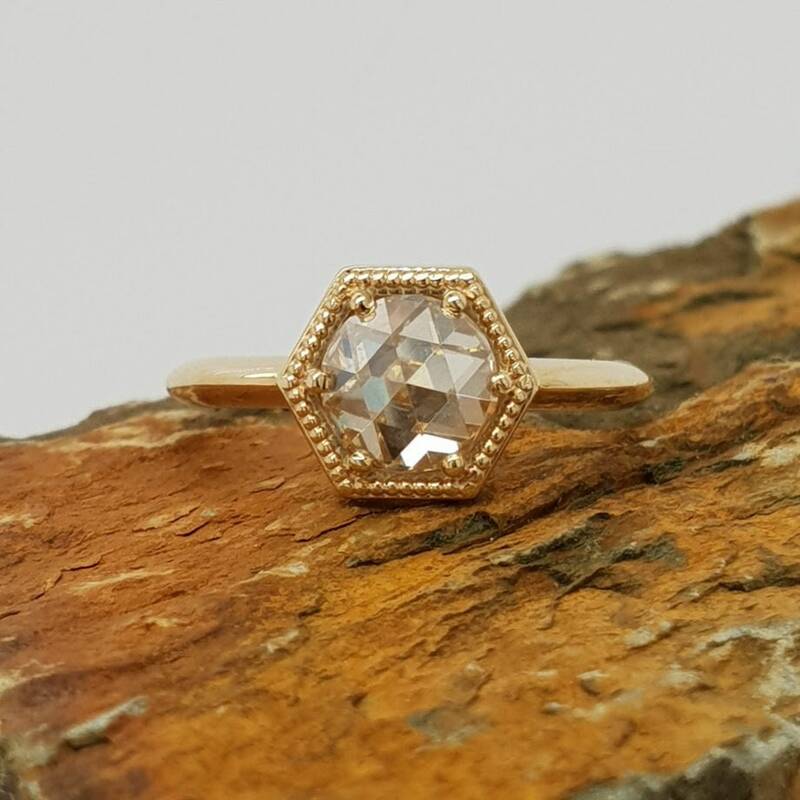 Moissanite is being favored by people around the world as the ethical, conflict free choice for Engagment rings. 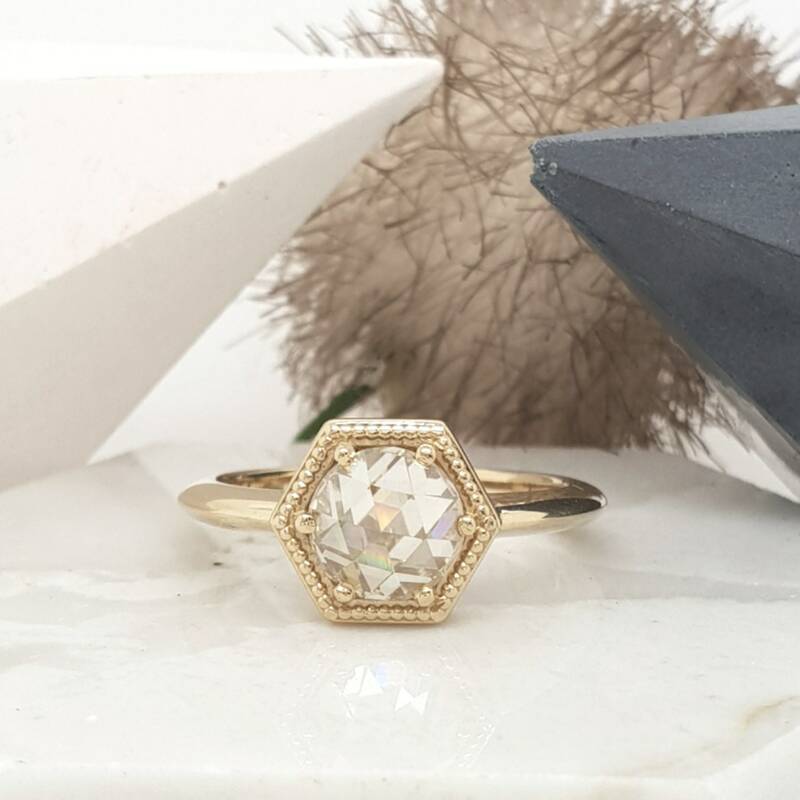 It has a hardness similar to that of a diamond at 9.5 on moh's scale, that makes it one of the hardest substances on earth, and very suitable for everyday wear as an engagement or dress ring. Adeline will come presented in a beautiful timber box.